Hi stampers. Welcome to Mrs. Lincoln's Inkin' and today's fun share. Today's card is a fun card that I just kind of "went with" when I was making it. It didn't turn out exactly how I pictured it in my head but I still thought that I would share it. I still think it's cute. But that's the thing with paper crafting... sometime when you're in the middle of a project... it just isn't going as planned...so you just go with it and hope that the end product is something that you don't want to pitch into the trash, lol. 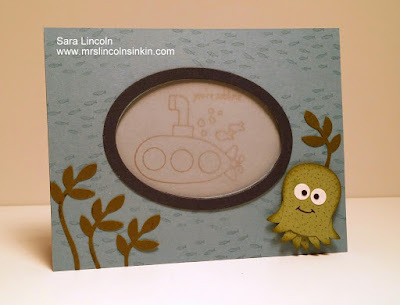 The base of my card measures average size of 4 1/4" x 5 1/2" and is using the Marina Mist card stock. I then used an image from the Sea Street stamp set, the little fish, and randomly stamped them all over the base. Give it more of an under the sea affect, lol. 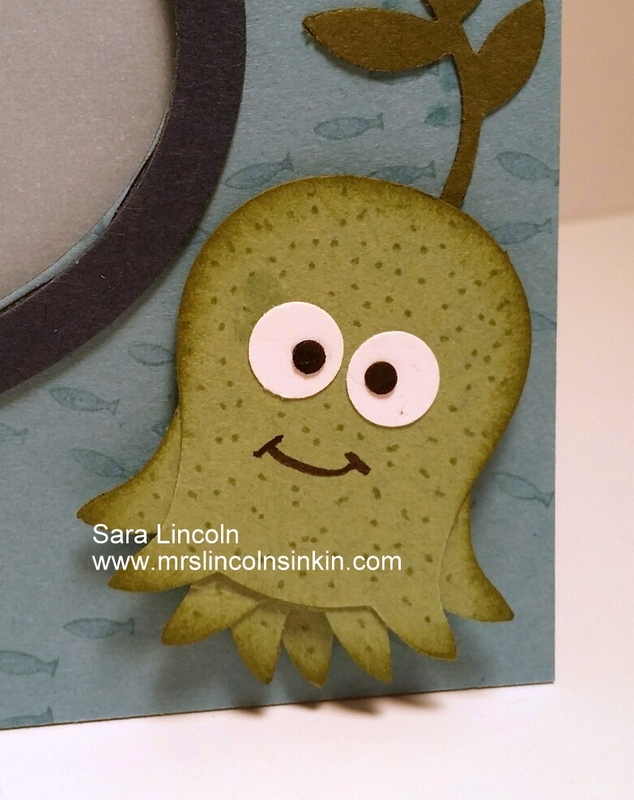 I then cut out an Oval using the Oval Framelits on an additional piece of Marina Mist cut the same size. 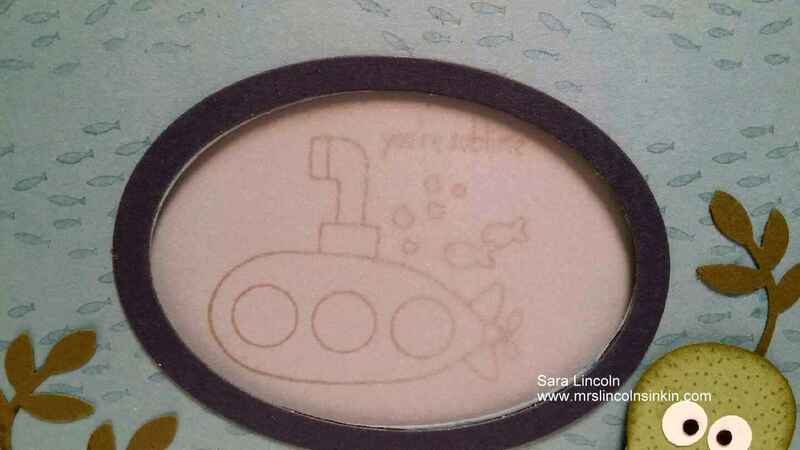 I then stamped an image from the super new super cute stamp set called You're Sublime. That set is soooo cute oh my goodness!!! I wanted it to look like it was under the sea... maybe floating a ways away so I topped it with a piece of Vellum.